(MENAFN - Trend News Agency) Two children were killed when militants opened sniper fire on a school bus in the Syrian city of Aleppo on Tuesday, the head of the Russian reconciliation center in Syria, Maj. Gen. Viktor Kupchishin, told reporters, Trend reported citing TASS. "At 16:50 local time on March 19, 2019, a school bus transporting children in the northwestern Aleppo suburb of Al Zahraa came under sniper fire from the terrorist-controlled territory in the Leramun district," he said. "As a result, a twelve-year-old boy was killed, while an eight-year-old girl and a female teacher who accompanied the children were gravely injured. The girl later died in hospital," Kupchishin continued. According to the Russian official, the attack was aimed at destabilizing situation in the Idlib de-escalation zone and disrupting the demilitarized zone agreement. "Moreover, in order to spark a massive public outcry, the militants resorted to brutal terrorist attacks and started killing children in a cynical and deliberate manner," Kupchishin said. 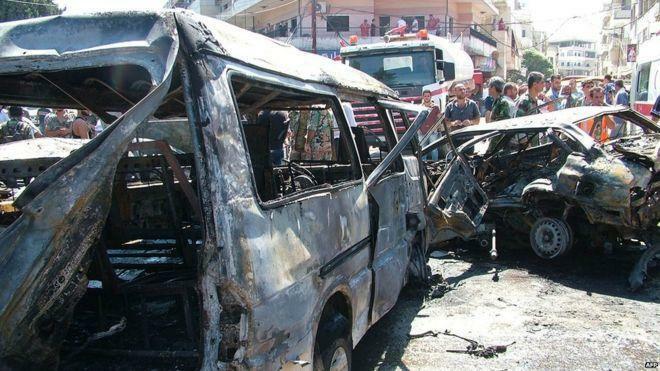 According to the Russian general, in the past 24 hours militant fire was reported in the following Syrian cities and towns: Safsafa (thrice), Qalaat Marza (twice) and Nasheebba (twice) in the Latakia governorate; Niha and al-Salihiya in the Idlib governorate; Tal Bazzam (twice), Masasna and Hreshi in the Aleppo governorate. Besides, the outskirts of the Aleppo city came under attack twice in the reported period.